To obtain teaching evaluations (i.e. Student Instructional Rating System data), please complete a data request form with the Office of Institutional Research, Planning and Effectiveness. In the form, please be very specific about the data you are requesting. For example, you might list each semester and year (e.g. Spring 2011) for which you are requesting data. September 4, 2014. Dr. Evelyn Leggette, Associate Vice President for Academic Affairs, provides an overview of the tenure and promotion processes at JSU. Her presentation is followed by talks about best practices by recently tenured and/or promoted faculty: Janice Brockley, Himangshu Das, Wayne Nix, Ingrad Smith and Joan Wesley. Dr. Thomas Calhoun, interim Associate Dean of the College of Liberal Arts, offers concluding remarks. March 27, 2014. Dr. Thomas Calhoun, then Associate Vice President for Academic Affairs, leads a general discussion of best practices for crafting, compiling and organizing the tenure and/or promotion portfolio. April 12, 2012. Dr. Michelle Deardorff discussed ways that applicants can build tenure and/or promotion portfolios that minimize the opportunities for reviewer bias. 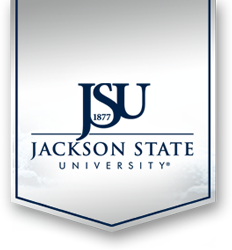 At the time of presentation, Dr. Michelle Deardorff was a professor in JSU's Department of Political Science. She was joined by Dr. Jean-Claude Assad, director of business graduate programs at JSU.